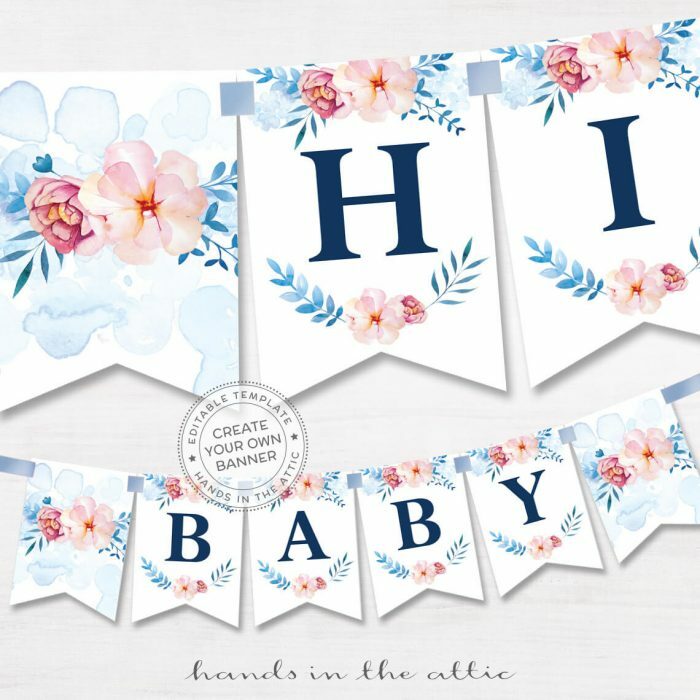 Decorate your walls or party tables with our printable baby shower banners. 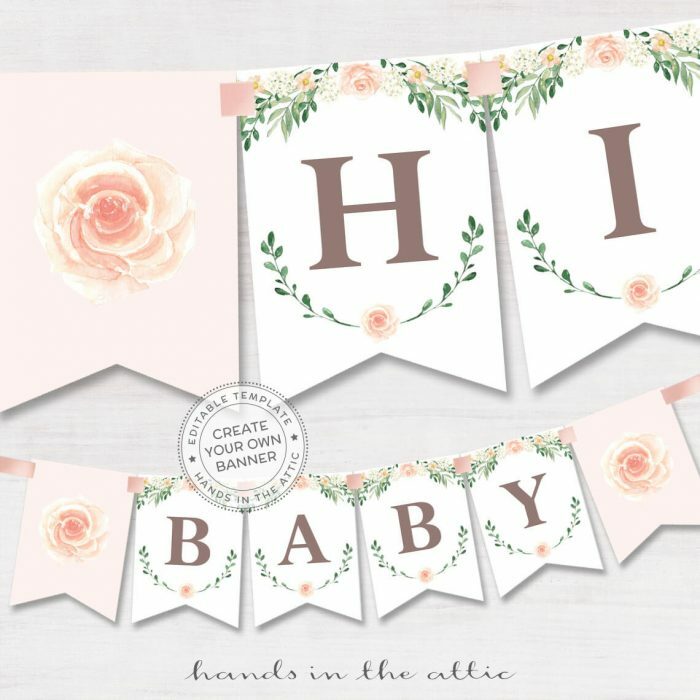 All items in this category are printable PDF templates that you can customize on your own. That’s what makes our banners unique! 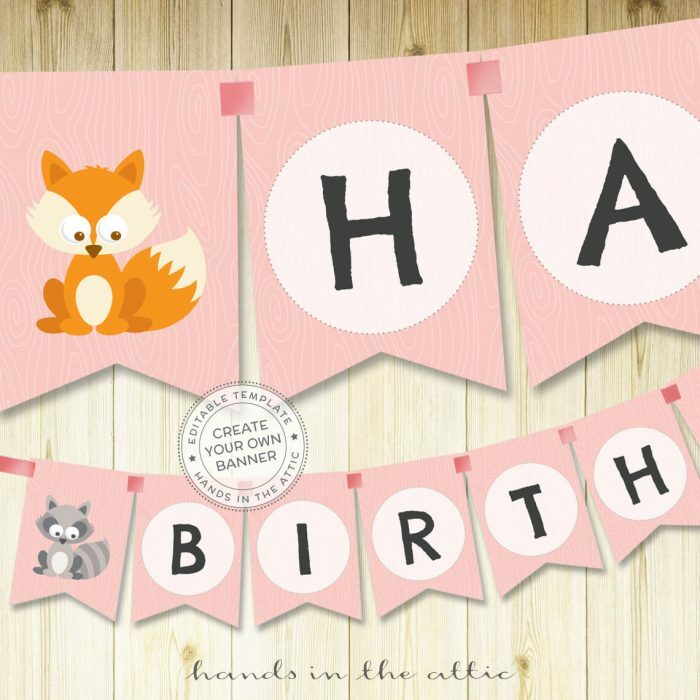 Instead of including the entire set of alphabets, we provide a template for you to modify according to what you need. 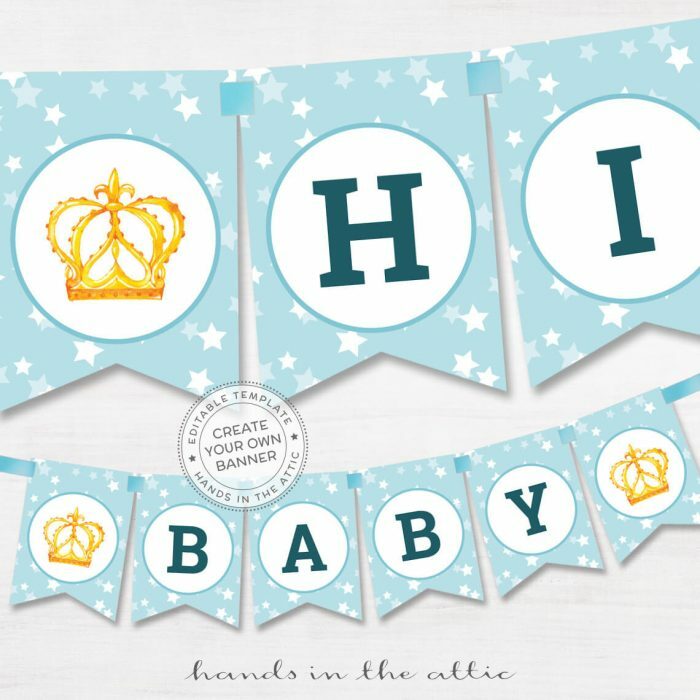 You can have it say “Baby Shower”, “Welcome Baby”, or “1st Birthday!”. 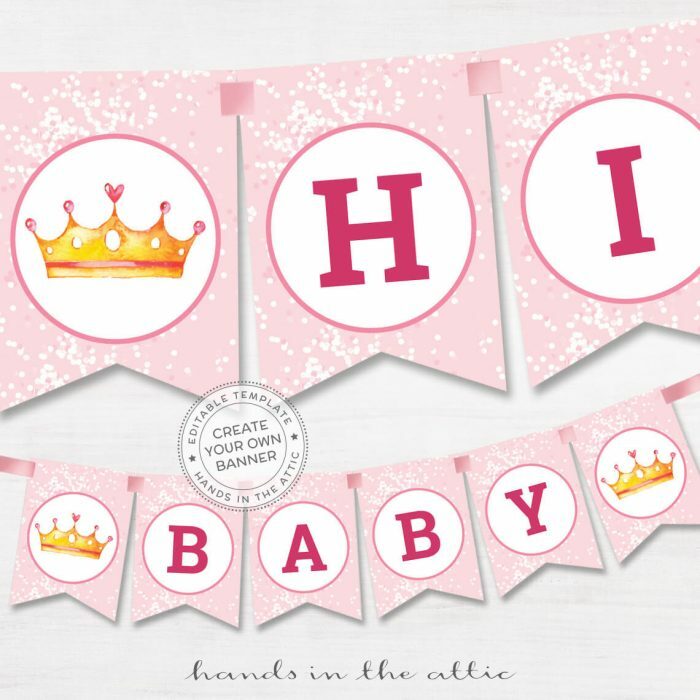 This way, you only print the alphabets you need for your custom word banner. Saves ink, saves paper! 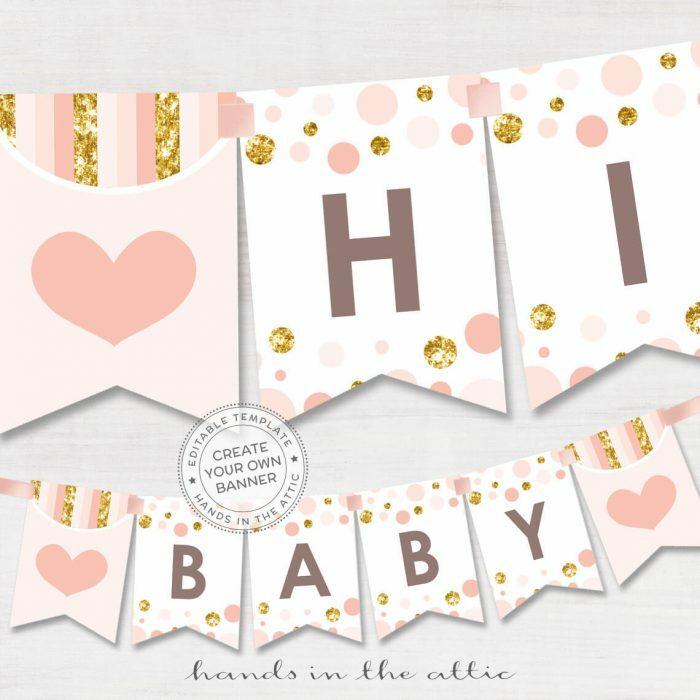 After printing, cut them out and string them together or stick them on the wall. 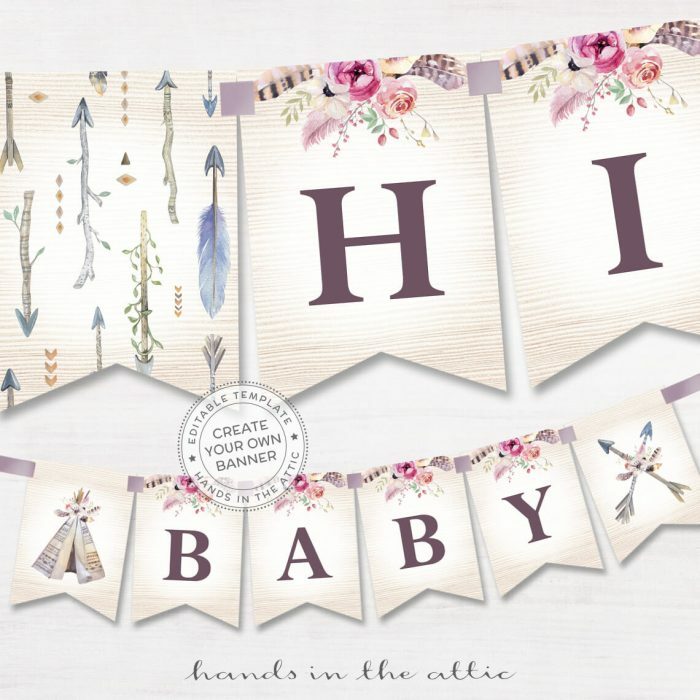 Also ideal as nursery room decor for your little ones! 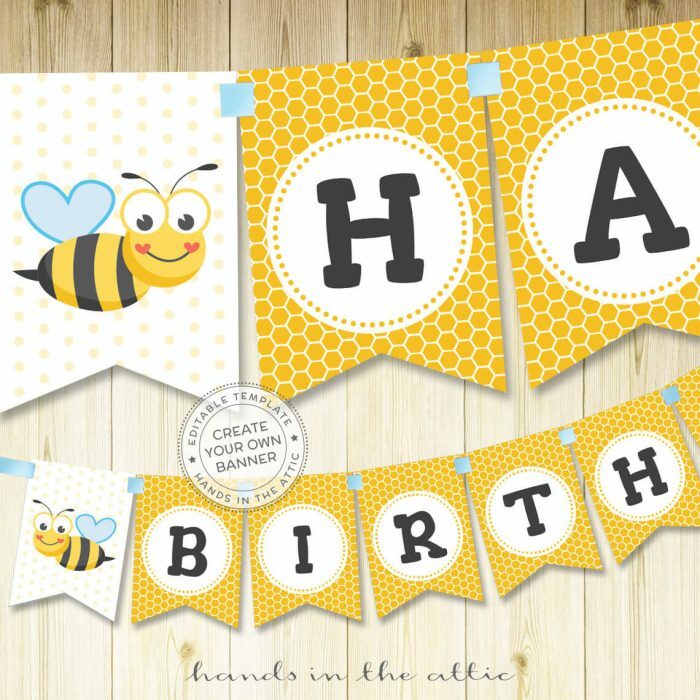 Check out our kids party banners for more designs.